For Cachoeira, things could have been very different. “A series of things hurt me inside,” Cachoeira said, via MMAFighting. “I was mistreated by my father, he said I wasn’t his daughter, he did things to hurt me. The funny thing is that I still had him as an idol. “I started going to parties every day and met people that used drugs,” Cachoeira said. “My life changed, I dropped studies and sports and started sleeping during the day and partying every night. That’s how I started using ‘loló’ (a blend of chloroform and ether), marijuana, cocaine and crack. “I thought she was being an accomplice in my drug addiction,” Cachoeira said, “but I understand now that she was giving me money so I wouldn’t get to the point of prostituting or stealing things. I didn’t go that far. “I was using crack for three straight days, and my money was already over, but other people started to buy it for me,” Cachoeira said. “On the third day, I couldn’t take it anymore, my body wouldn’t take it anymore, but I had no strength to stand up and leave. “My vision was blurry, I was disoriented. I wanted to leave. I looked at the door and I saw a light, I saw that someone was coming in my direction. I recognized the dress and said, ‘It’s my mother.’ The other junkies left, scared, and I wanted to leave as well because I thought she would beat me. 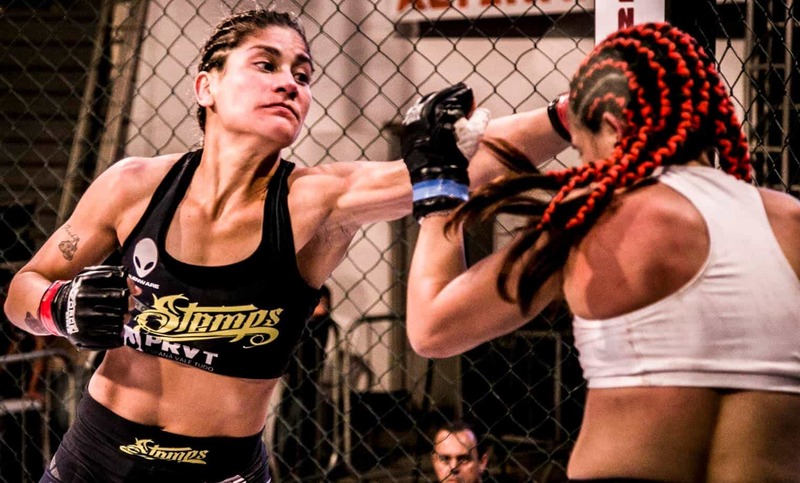 “I was getting beat up so much in the first round that I thought about quitting,” Cachoeira said of her first fight, “but then I heard her voice: ‘Don’t give up, my daughter.’ I didn’t quit, and I started fighting like a maniac. One punch landed flush, and my opponent looked back at me, and I knew I had her respect. I started to hunt her down and won the fight.